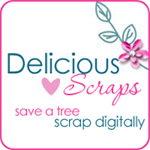 Delicious Scraps: New PTU Kit "Merry Christmas" 50 Cents and Two Freebies!! New PTU Kit "Merry Christmas" 50 Cents and Two Freebies!! Hope you all have a Very Happy Holiday Season!!! Best wishes to You and Your families!!! Thank you SO MUCH for all the warm wishes you have sent!! Here is my newest mini kit "Merry Christmas" it is on special for only 50 cents till January 1st. Merci beaucoup pour ce très joli cadre ! I wish you a joyful and hearty Joyeux Noël ! Thank you so much for this Freebie. I want to let you know that I posted a link to your blog in CBH Digital Scrapbooking Freebies, under the Page 3 post on Dec. 23, 2009. Thanks again. Thank you for sharing the Christmas frames. I'm sure they will be very useful for my holiday pictures. Have a Merry Christmas and Happy New Year. The frames are beautiful! Thank you for everything that you share! Wishing you a wonderful holiday!! Thank you so much for sharing. :) Merry CHRISTmas!